As early as 5am in the morning; commercial activities and vehicle movement were shut down by the people of Anambra in compliance with the 'Sit At Home' order. Markets, shops and other business activities were shut down, and the roads were empty as no vehicle nor any person was seen around except for the Nigerian security agencies who were seen moving with patrol vans. A walk down the villages, towns, and reports from fellow correspondents in Anambra State, indicate 100% compliance with the 'Sit At Home' order issued by the leadership of the Indigenous People Of Biafra (IPOB). 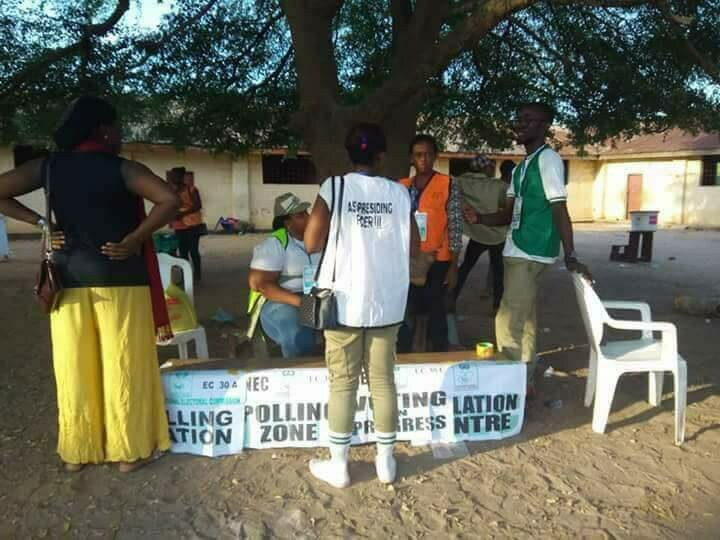 Another centre of focus was the polling units where INEC officials, Security and Party agents who arrived by 7- 8am, were seen sitting idle and chatting at the polling units due to the absence of electorates. At 10-11am, party agents cast their votes for the party they worked for, yet the turnout by electorates remained same, as nobody was seen at the polling units. Due to low turnout, party agents were seen making calls, trying to woo and buy votes from people, even from those who unknown to them were reporters who were there to cover and monitor the election. Despite the wooing, buying of votes and other illegalities at the polling units, the total outcome of Anambra election (as observed live from different polling units), recorded 2%, and the boycott of the election recorded 98%. 1. Party agents were seen sharing money at polling units, wooing people and buying votes. 2. Nigerian Security agents and INEC officials helped party agents to rig the election. 3. Those who participated and voted in the election are mostly party agents. 4. There was 100% compliance in the 'Sit At Home' order by IPOB leadership. 5. The election was boycotted 98%. The boycott of Anambra State governorship election received full compliance by Anambrans – almost 98% and sit-at-home was 100%. This means that BIafran people have rejected the politicians and rulers imposed upon them and the land. Now, we Biafrans must move forward to declare a date for referendum. We must be free now. Kudos to Biafrans in Anambra! Kudos to IPOB leadership!! All Hail Biafra.